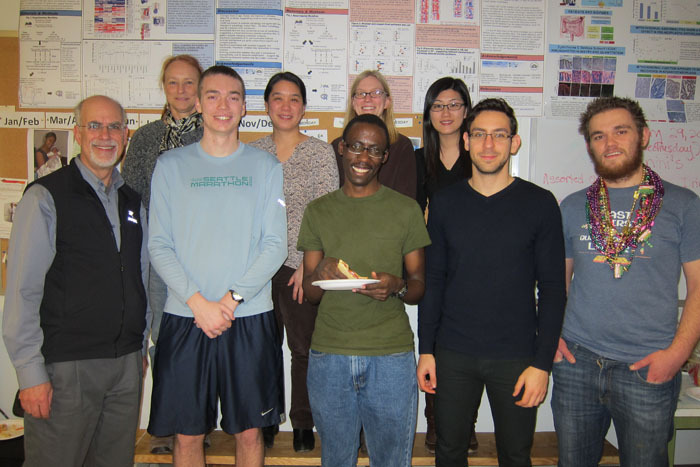 The Rabinovitch lab has had a longstanding interest in studies of the biology of aging. Over the past decade we have had a special focus on healthspan and longevity extension by interventions that enhance mitochondrial function. The decline in cardiac function with age has proven to be an especially interesting phenotype in this work. The transgenic model of catalase targeted to mitochondria (mCAT) has been a useful and effective component of these studies, as mCAT mice show reduced cardiac aging and are resistant to models of cardiac hypertrophy and failure. The healthspan benefits of mCAT have more recently been translated to pharmacotherapy by showing that the peptide drug SS-31 confers similar cardiac and skeletal muscle benefits. A second focus of study of cardiac health has derived from studies of modulation of the mTOR pathway by genetic and drug (rapamycin) treatments. Both of these avenues of study have now converged by demonstrating the rejuvenation of cardiac function in aging by improving mitochondrial protein quality and energetics.